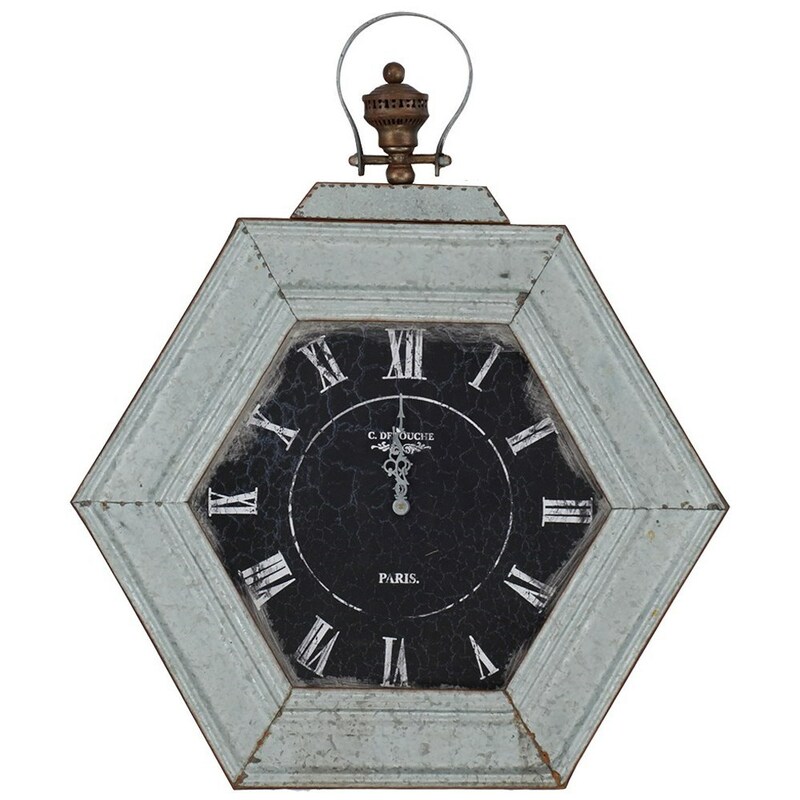 A black clock face with Roman numerals has a distressed white surround. Requires one AA battery not included. The Clocks Metal Distressed Clock by Paragon at Ruby Gordon Home in the Rochester, Henrietta, Greece, Monroe County, New York area. Product availability may vary. Contact us for the most current availability on this product.